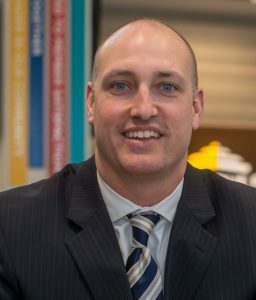 Purdue Federal Credit Union (Purdue Federal) has announced the hiring of Jon DeSmet as Account Vice President of Member Business Services. In his position, Jon looks forward to being a trusted advisor to real estate investors and business owners by using market experience and competitive loan terms to help accomplish their goals. Following his 2002 graduation from Wabash, Jon attended the Graduate School of Banking at University of Wisconsin. 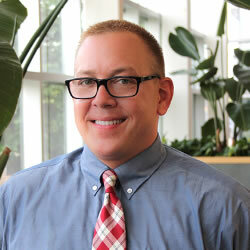 Jon brings more than 15 years of banking experience to the credit union. Outside the office, he coaches multiple youth sports. Hollis Evans has received Lourdes Health System’s 2017 Sister M. Elizabeth Corry, OSF Award. The annual award is the highest honor bestowed upon a Lourdes Health System employee and is named after the former president of Our Lady of Lourdes Medical Center in Camden. A licensed clinical social worker with the mental health unit at Lourdes Medical Center of Burlington County, New Jersey, Hollis was among 16 employees from throughout the health system nominated for demonstrating the core value of stewardship. A former hospital administrator, he joined Lourdes in 2007, and cares for patients who not only suffer from mental illness and drug/alcohol abuse, but also financial hardships as well. In his nomination, Hollis was cited for helping a patient with mental illness and alcoholism who was admitted to the mental health unit after 50 emergency room visits. He also is noted for going on his own time to pick up patients’ belonging from shelters and motel rooms, obtaining medication and using his own money to pay for transportation, food, clothing and other patient needs. Following his 1983 graduation from Wabash, Hollis earned a MSW from the University of Pennsylvania in 1985. The American Health Council has announced the election of Michael Tempel, MD to the AHC Board of Physicians. A general surgeon specializing in colon and rectal cancer, Mike has spent 17 years in the medical field and is currently with the Lima Memorial Health System in Lima, Ohio. Following his 1996 graduation from Wabash, Mike received his MD from Indiana University School of Medicine in 2000, and completed a residency in general surgery followed by a fellowship in colon and rectal surgery. He is also a Fellow with the American College of Surgeons and with the American Society of Colon and Rectal Surgeons. Mike is Vice Chairman of the Department of Surgery and a member of the Pharmacy and Therapeutics Committee. His long-term goal is to develop a comprehensive program for the treatment of rectal cancer at Lima Memorial. Bob is Chairman of Eagles Landing Partners, which specializes in helping senior management formulate strategy, lead organizational transformations, and re-engineer businesses. Earlier in his career he served as CEO of the NYC Leadership Academy, an independent non-profit corporation that is chartered with developing the next generation of principals in the New York City public school system. 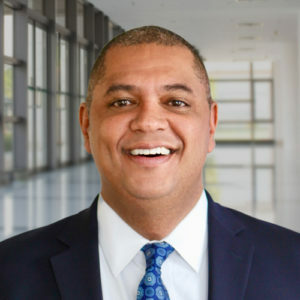 He also serves on the board of directors for Roper Industries in Sarasota, FL, and Convergys, in Cincinnati, OH; and has held roles as CEO of Telwares, Chairman and CEO of SlimDesk Technologies, Inc., and Chairman, President and CEO of Covad Communications. Following his 1977 graduation from Wabash, Bob earned an MBA from Kellogg School of Management at Northwestern University. Jeff founded Huntbridge, an HR consultancy in D.C., several years ago and serves as CEO. Previously, he was Vice President of Human Resources at SpaceX. In his new role with Stanton Chase, he will lead efforts to support client initiatives in the technology, media, non-profit, association, and government affairs communities. Allen Yow has been appointed chair of a committee that investigates the character and fitness of those applying to practice law in the Fourth Judicial District. An attorney for Rammelkamp Bradney, P.C., Allen has served on the Committee on Character and Fitness for the Fourth Judicial District since 2010, and has served as vice-chair since 2015. His appointment as chair was voted on by the Illinois Supreme Court in November, to become effective the beginning of January, 2018. 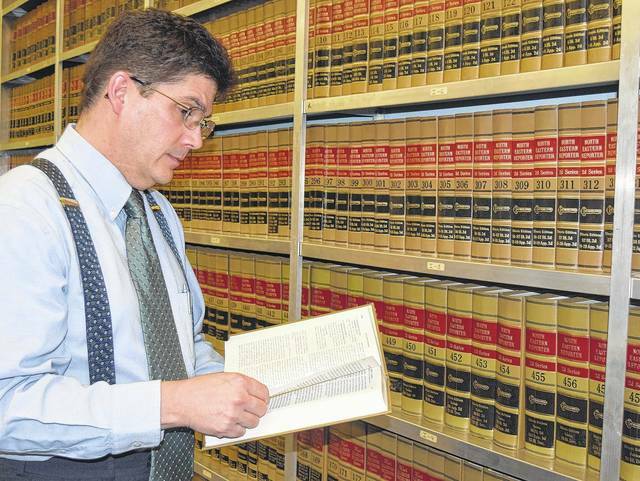 Following his 1986 graduation from Wabash, Allen attended Southern Illinois University School of Law.